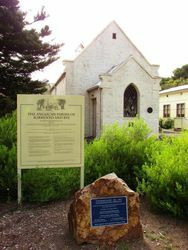 A time capsule and plaque commemorate the ceremony held at St Andrews Church commemorating the 150th anniversary of the proclamation of Rye as a township in 1861. 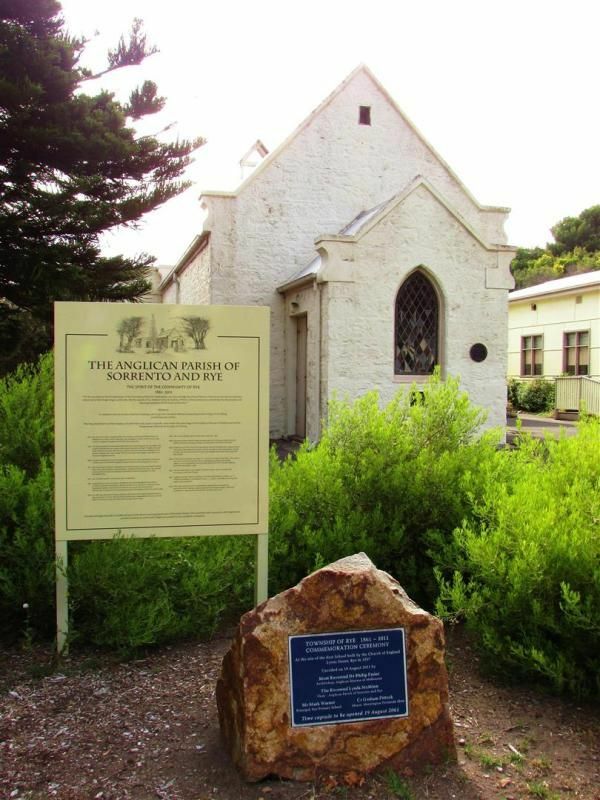 The time capsule is to be opened on the 19th August 2061. 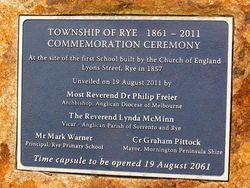 Rye was proclaimed a town on 26 February 1861.